A journalist is charged with producing the first draft of history - generally on deadline and under pressure-packed circumstances found in no other business. 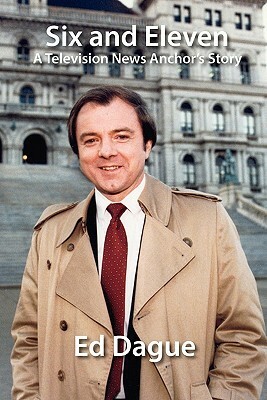 For most consumers of TV news in the Albany region for decades, Ed Dague was the face and the voice of the news. He was calm, unflappable and unfailingly affable in presenting the day's events, and the inherent turmoil surrounding that task never showed in his presentation of stories that alternately horrified and amused his audience. Dague's book offers a sage and penetrating look at the news business in the Albany metro area, at the people and personalities who both made and reported that news and at how the news business has changed and continues to change. This book also offers insight into the personality and character of a man who was part of the daily routine of hundreds of thousands of Capital District residents who depended on him for a fair and balanced recitation of the events that affected their lives in myriad ways. Twice a day for decades, Ed Dague painted a picture for his audience of the world in which they lived. Now, he tells you what that world was like from his perspective.